Review: Santa Run for Wishes 2018 (by stargazer) | JustRunLah! 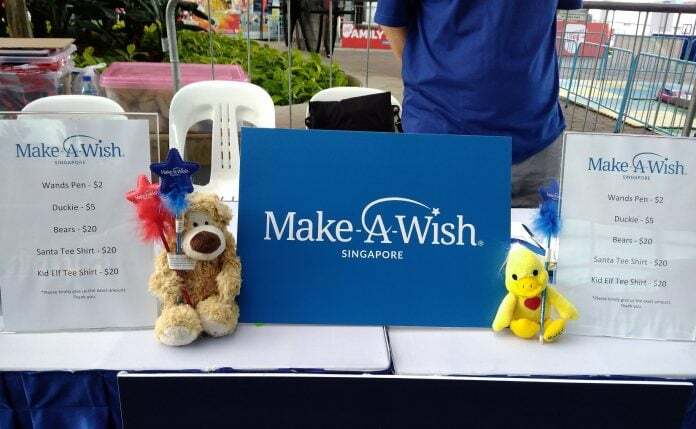 The Santa Run for Wishes is organised by the Make-A-Wish Foundation, with its objective to grant wishes to children with life threatening medical conditions. 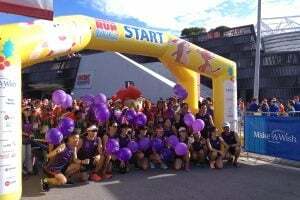 It is held at the Sports Hub, OCBC Square on the 2 Dec. The run originated in Arizona, USA, and is now held in many countries around the world in the name of charity. There are 3 categories to this year’s edition: 2.5 km fun run, 5 km fun run and 10 km competitive run. My friend Skye and me are taking part in the 10 km category. There are 2 designs: the santa for adults and elf for kids. The designs, which I believe are standard in the same race in other countries, are in line with the theme of the run. Though I feel that it could somewhat only be suitably worn during this run or when you go shopping and sight-seeing at Orchard during the Christmas period. 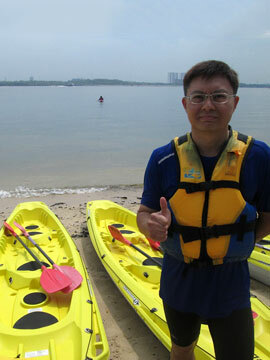 We had originally planned to meet at Kallang Wave Mall at 6.45 am. But I overslept (first time for a race) and reached at 7.30 am. After some consideration, we decided to run the 5 km route instead, as the 10 km runners had already been flagged off at 7 am and would now be in their return leg. Also, we didn’t want to wait for the 5 km flag off at 9 am as we felt it was quite late and we had more than an hour before 9 am. Wasting no time, we commenced our run after some warm up exercises. I had been here for the past races so I was quite familiar with the usual race routes; whereas this is Skye’s first race. I shared with her some of my race experiences, as well as the joys of running in Gardens By The Bay East. In my opinion, it is more enticing to run here in the evenings to enjoy the beautifiul night scenery this area has to offer. We passed the first hydration point outside Passion Wave and turned back when we reached the 2.5 km mark. By now, the 10 km runners were heading back towards the Finish Point and we joined them for the rest of the distance. We rested a while, before proceeding to the Start Point to witness the flag-off for the 5 km and 2.5 km run. 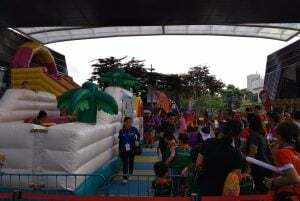 There was really a much bigger crowd of participants here compared to the 10 km run, with many families and their young kids in tow. I had initially wondered why there was a 2 hr time difference for the flag offs between the 10 km and 5 km runs, but now I believe the organizers arranged thus so that the timed 10 km runners have an unblock passage of way. 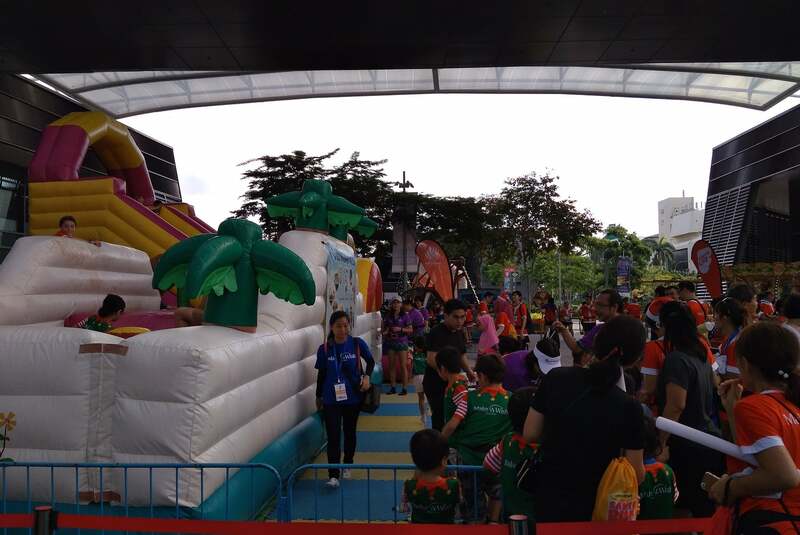 There was a host of activities at the OCBC Square: a bouncy castle, carousel and stalls selling nice ornaments. We lingered a while before taking our breakfast at ‘My Kampong’ at level 2. It was around 10 am when we left. Skye commented she had a fruitful morning and that she is keen to participate in other races. I said, ‘why not’? I think 9 am is a bit late for the 5 km and 2.5 km runs. I suggest the following categories and flag off times: (1) 10 km competitive run and 5 km fun run – 7 am (2) 2.5 km fun walk – 8.30 am.